We #DOOH what you do. Our digital advertising screens, fitted to slow recycling & refuse collection vehicles, visit every street, tourist attraction and commuter hub across the borough of Camden. 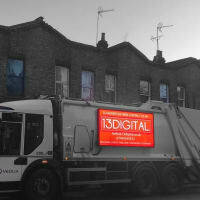 13 Digital's eye-catching mobile outdoor advertising units are the future! This high impact cutting-edge media format will change London’s outdoor advertising. Whoever your target demographic, 13 Digital can reach them. 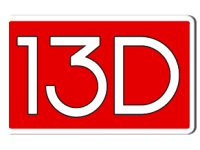 •13 Digital’s new digital out of home MOD (mobile outdoor display) screens have brightness adjusting LED technology and are available for advertising across greater London. •Our intelligent technology allows you to change your message as the screen travels into different locations, suited to the audience real-time. •Bespoke performance metrics and measuring tools are available.